Book Now! !Book Your Scenic Tour Now!! Eliminating many “social trails” that allow natural vegetation to return. Significantly reducing the “footprint” necessary to conduct our operations. All of the maintenance and servicing of the boats is completed out of the water, thus ensuring no impact on water quality. JLB employees ride the shuttle van and forth to the workplace in 2 company-sponsored shuttle van to reduce the number of vehicles on the road and in the parking lot. 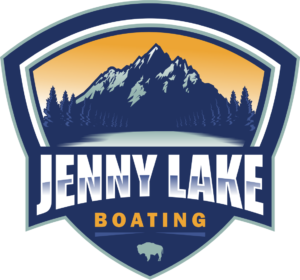 JLB boats are designed to blend into the environment to protect the “view shed” around Jenny Lake. Of equal importance, the entire JLB staff is constantly looking for ways to lessen our impact on the natural resources.